Having just scooped the award for Q’s Breakthrough Artist of the year and the MOBO for best RnB and Soul and rounding off his biggest sold out UK tour to date, Ben Drew is ready to release his next single ‘Love Goes Down’ as a pre Christmas treat. His show stopping soul album ‘The Defamation Of Strickland Banks’ has proven to be the biggest selling album from a UK artist in the UK and Europe so far this year, going gold in both France and Germany. On home ground it hit the number 1 spot twice, has been in and around the top 10 and has gone on to reach double platinum status since release. The acclaimed videos that accompany the album have also been highly praised receiving 4 VMA awards. A feat he could well top at next weeks MTV Europe awards where he is up for best video and best new act. But it won’t stop there, 2011 looks set to bring even bigger and better things for Ben Drew, with a massive arena tour around the country taking in his biggest ever show at London’s O2 arena in March. Continuing to be the busiest man in pop, Ben has also been working exceptionally hard on his directorial feature film debut, ‘Ill Manors’ which is due for release later 2010. Tickets For Plan B's 2011 UK Shows are onsale now. Plan B has unveiled the video for Guess Again. Plan B has posted a video for It's A War. 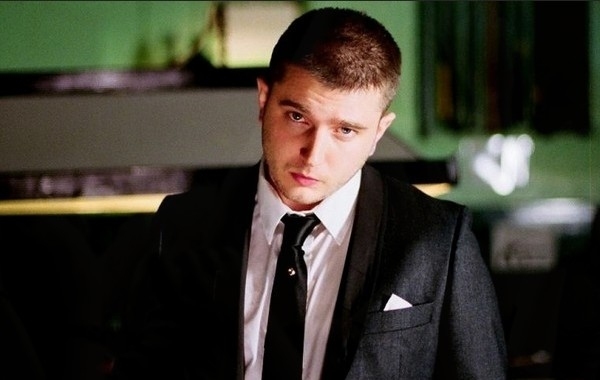 Plan B has shared a video for his new track, Stranger.